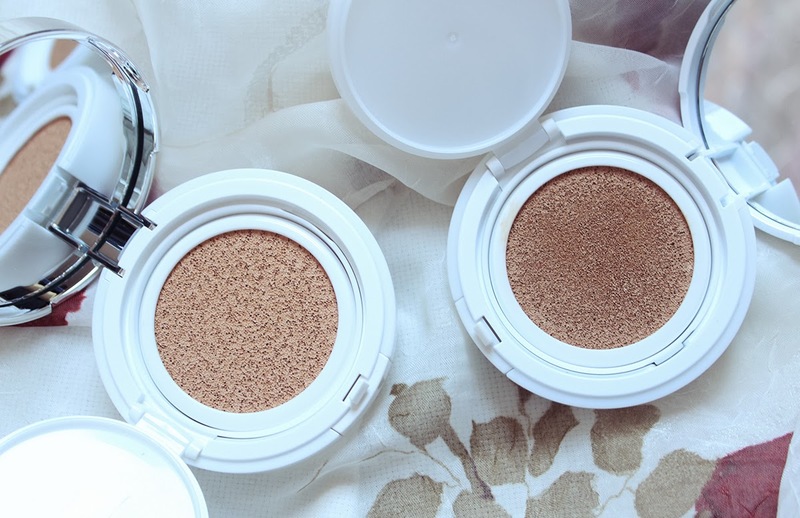 Drugstore Foundation Samples: Did You Get Yours? During the past couple of days I've been getting some samples in the mail which I requested long ago. I just want to do a little post showing you guys the samples for Covergirl's Natureluxe Foundation and Maybelline's Fit Me Foundation, two new and much talked about products sweeping the nation. Walmart occasionally gives away samples (free of charge!) to anyone who signs up and recently they had samples of the new Covergirl Natureluxe Foundation. I requested this sample several weeks ago so the offer is not available anymore unfortunately. 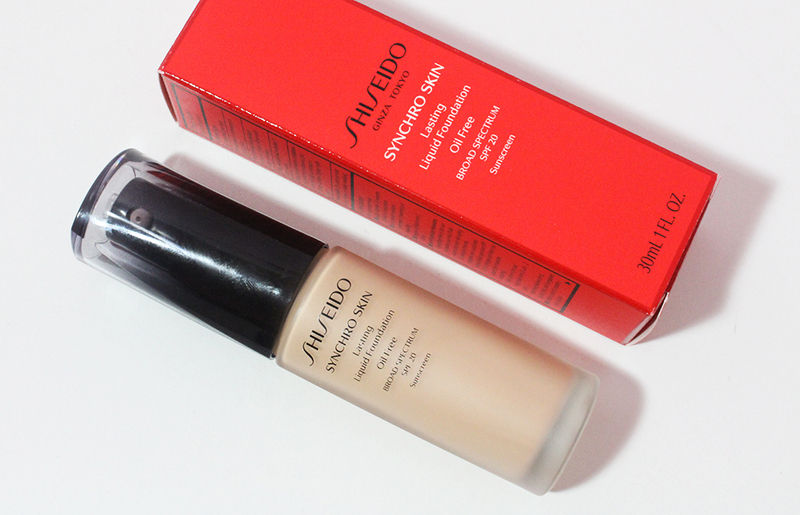 I've heard pretty awesome reviews on this foundation so I'm excited to see how this works. 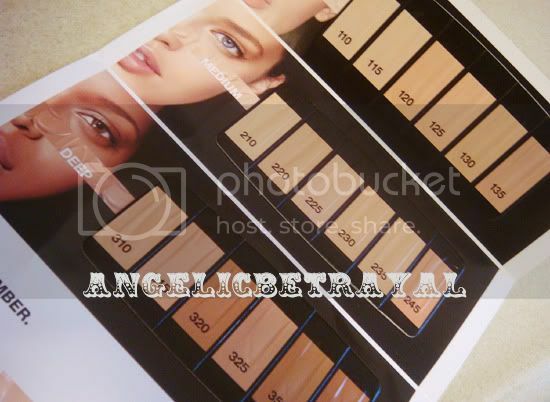 I expected the sample to be the peel-off type where they have all the shades but only a tiny amount of each which allows you to find your correct shade. Surprise! They actually inlcuded two sachets of the foundation which should be enough for an entire application. Unfortunately the shades are pre-chosen based on what Covergirl predicts to be the most popular colors I guess. This will probably be an issue for many people but at least you get a good amount of product to test out in terms of texture, finish, etc. I think the lighter shade in the sample, 320 Aspen, could possibly work on my skin. The darker shade, 340 Maple, might also work when my skin is darker towards the summertime. On the back of the sample placard, they give you a list of all the shades available. 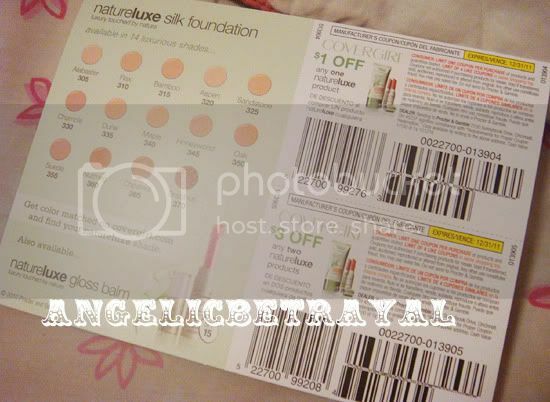 They also included TWO coupons off the Natureluxe line, $1 off one product or $3 off two. They do not expire until the end of the year so I have plenty of time to wait for a good deal to use these :D On a semi-unrelated note, the material of the paper they printed the card on is really nice. Something about smooth, high-quality samples makes me have more confidence in the company and their customer service. 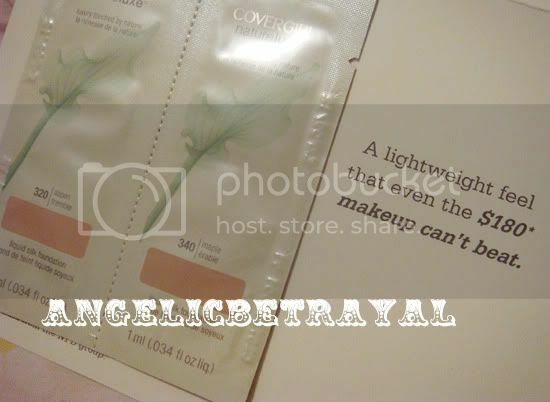 Thumbs up to Covergirl! 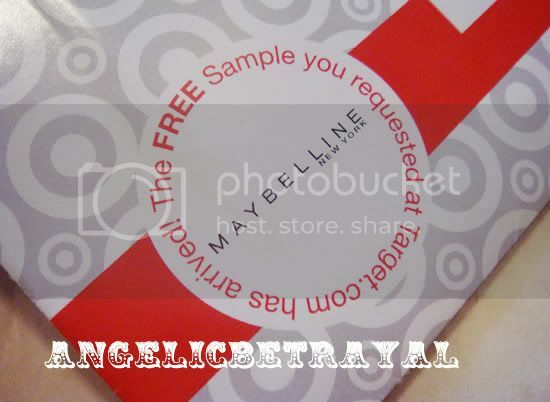 I like how Target puts the name of the brand of the sample on the front of their envelope. I request a lot of free samples from many companies and they take quite a while to arrive so I usually forget what I had requested by the time it comes. 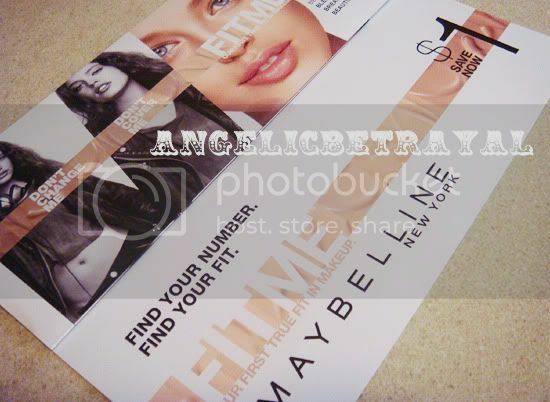 Maybelline also has a nice placard made of sturdy paper. The graphics are nice and the overall sample is very professional. The promotional ads for the Fit Me line remind me a lot of Gap ads for some reason. 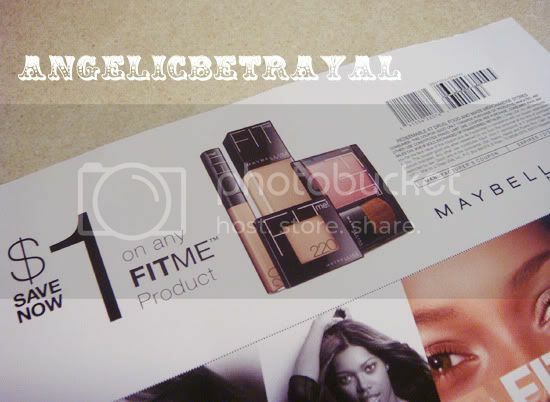 You also receive a $1 off coupon for any Fit Me product which is nice, but not as good as the two Covergirl coupons. This coupon also expires at the end of the year so I have plenty of time to use it. Did you guys request these samples? If you did, have you received yours yet? I won't be trying the samples out for awhile (since I'm not in the market for a foundation at the moment) but I'd love to hear what you guys think about the foundation if you've tried it! I haven't gotten the Maybelline one yet but I got the CG one and was disappointed that they didn't give me more shades! But like you said, enough to apply - more than once! Already tried the CG one but I'm not so impressed. I have yet to try the Maybelline one though! Wait... how did you get these online or at the store? Please respond quickly i am going to a function this weekend! Sites like Walmart and Target routinely offer samples on their websites that you can request. They mail them to your address.